My husband just loves bacon. In my dire search for more bacon-infused recipes for him, I couldn't resist on trying this. 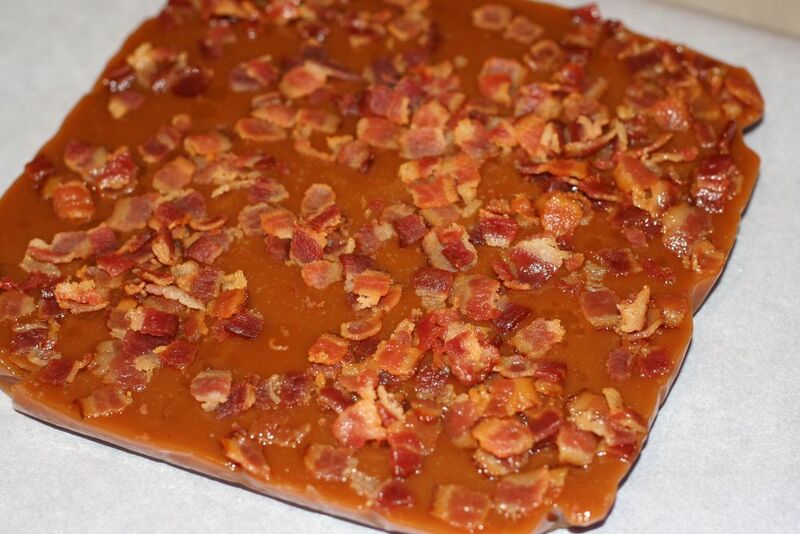 There are several recipes on the web but this one actually had bacon-fat in the caramel itself. The taste of the caramels depend largely on the bacon you buy, so pick wisely. I normally buy Farmland bacon. The caramels were very soft and had a nice smokey flavor to them.